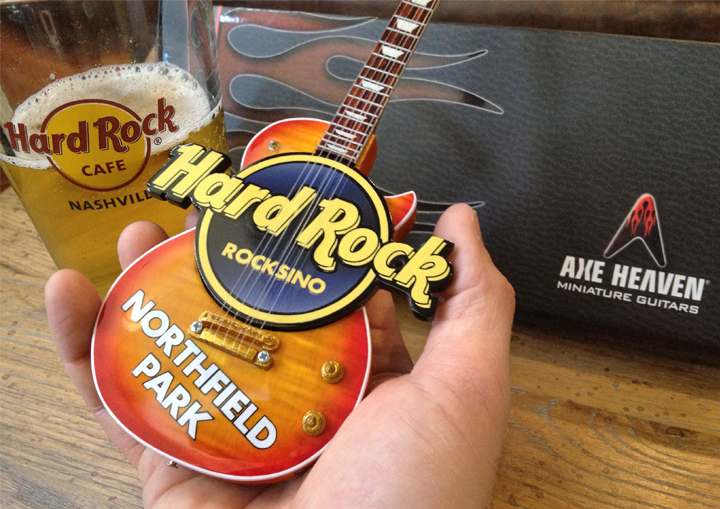 Handmade promotional guitar products that rock your companies passion! 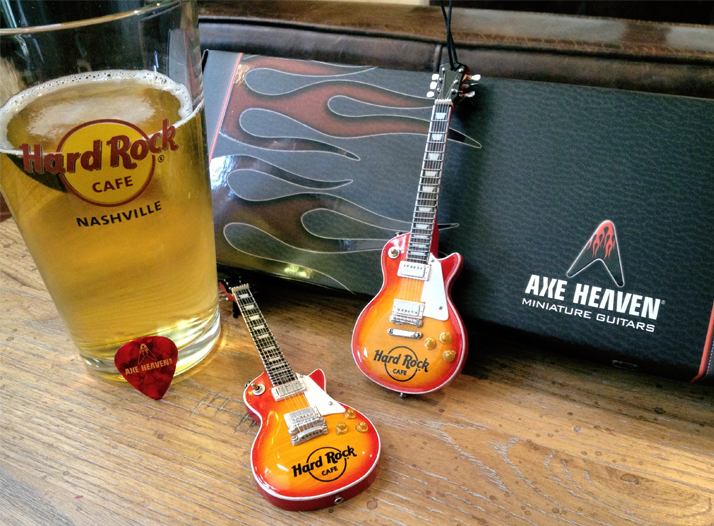 AXE HEAVEN® makes without question the coolest musical related promo items. Our approach allows each client to make a handmade product specific to their brand. Working with Hard Rock Hotels & Casinos over the years has been an honor. 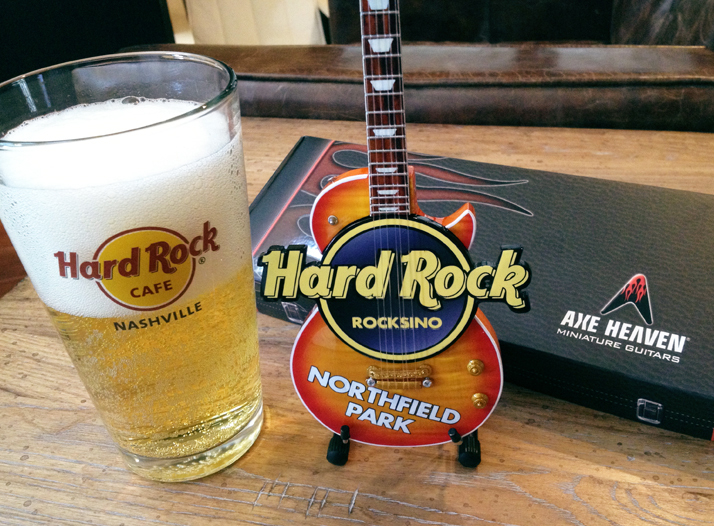 The photos below show our classic and world-famous mini guitar styled after the actual Hard Rock storefront sign. 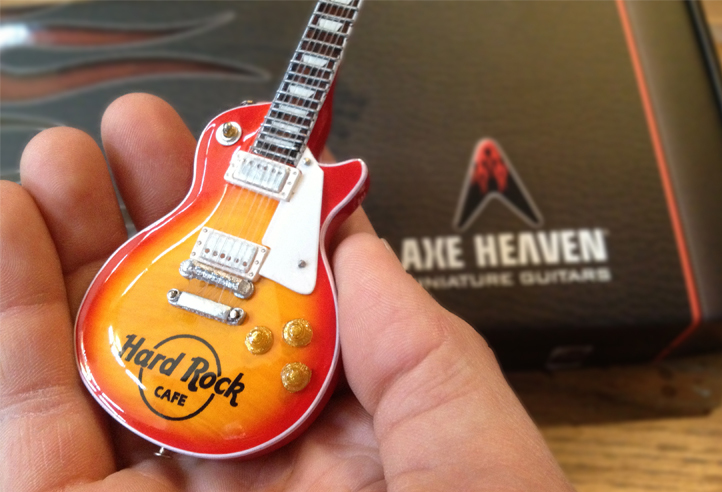 We have also made various mini guitar ornaments and custom guitar pick holders. 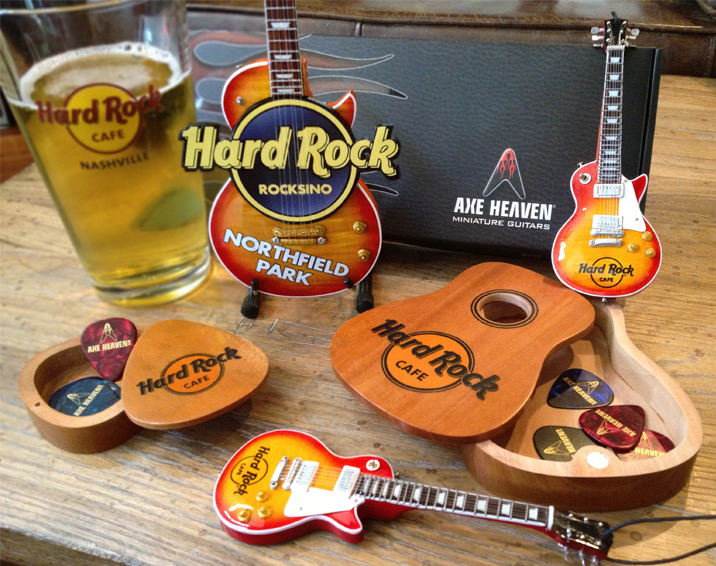 Visit AXEHEAVEN.COM for more info on how we can rock your promotional needs! Visit AXEHEAVEN.COM for more info.